Feels good to be nearing the end of another admissions cycle. It seems like the interviews were so long ago -- in reality, it's been only about four weeks. I've gotten a several calls this week about our notifications being sent out -- which made me think about a blog post I wrote a few years ago that addressed admissions decisions. How are notifications sent out? Have you sent admission offers out yet? Have you sent all admission offers out yet? Have you sent deny notifications out yet? Have you sent all deny notifications out yet? When will all applicants be notified? Is there a certain day of the week notifications are sent? No. It's totally random. There are lots of other things we juggle -- meetings, presentations, other responsibilities, etc. Is there a certain time of the day notifications are sent?No. Again, it's totally random. If someone is offered admission, does that person's acceptance/decline affect another person's admission offer? No. (Only in the case of the wait-list will that occur, which happens after all candidates are notified of their status. In other words, we do not wait to hear whether an offer is accepted before making another offer. If someone is offered admission somewhere else, does that affect their admission offer with UCSF? Will notifications be sent out during spring recess? Spring recess? What's that? Ha! We do not get a spring break. We will be working. (But I do get a kick out of students asking "How was your spring break? What did you do?" Uh, worked....!) Yes, we will continue with sending out notifications on "spring recess." What is your opinion on sending thank-you notes following an interview? Is there a preference for hard-copy vs. electronic notes? I recently participated on a panel with other pharmacy school directors and this was one of the questions asked. We all had VERY DIFFERENT responses. I'd like to use this topic as a blog post topic in the near future. I think it's an interesting question and I'd like to provide more insight and thoughtful response than here. Would you be willing to entertain us with some more blog entries/picture posts in the coming days? Like musings on this year's admissions cycle! We do miss your updates. Thanks for the feedback. My posts have been limited since the fall. November through March is a very busy time. I hope to get back in the blog-game in the coming weeks. If there's something I'm missing, let me know! I'd love to add it to this list. 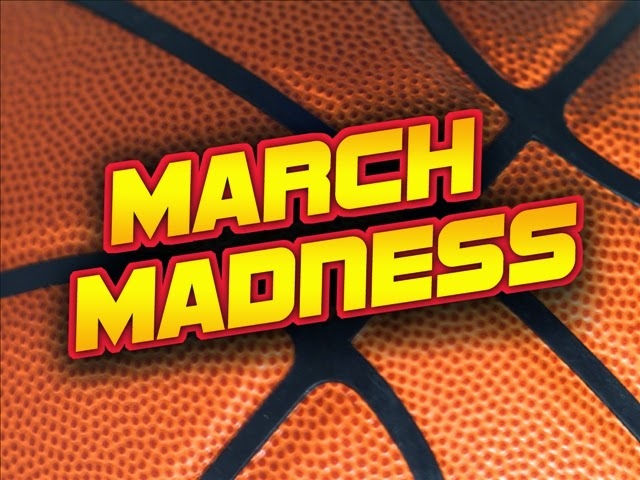 Finally in the spirit of March Madness, what anti-anxiety medication do you suggest? I'm stressed that my brackets are already falling apart and it's only the first round. Grrrrrr....Ugh! Hey Joel, thanks for the post! Here are some more questions if you'd like to answer them. -Will notifications also be sent out during spring recess? -Overall, did the committee & staff enjoy handwritten cards more so or electronic submission of thank you messages? -Would you be willing to entertain us with some more blog entries/picture posts in the coming days? Like musings on this year's admissions cycle! We do miss your updates. Thanks for additional questions, jeggings! (jean leggings?) I added them to the post above, with some minor editing.